Ain’t We Brothers, Sam Gleaves' debut record of original songs, will be released in November, 2015. Following in Appalachian tradition, Gleaves' songwriting tells stories about love, working people and the homeplace while addressing contemporary social issues. Produced by Cathy Fink, the recording features some of Americana's best loved musicians, including Janis Ian, Tim O'Brien, Laurie Lewis, Marcy Marxer, Missy Raines, Tyler Hughes and Donavan Cain. About Ain’t We Brothers, acclaimed author Lee Smith writes: "Courageous as hell and country to the bone, amazingly talented Sam Gleaves, the best young songwriter around, heads into new territory with his brilliant album Ain’t We Brothers, joined by a group of world-class musicians and singers. Varied, intelligent, moving—these songs stay with you." Pre-order Ain’t We Brothers through Apple iTunes and receive an advance download of "Just Like Jordan," featuring Laurie Lewis. Born and raised in Wytheville, Virginia, Sam Gleaves performs innovative mountain music with a sense of history. 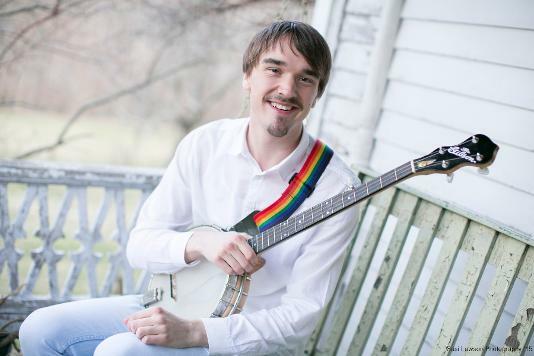 Under the direction of local teacher and barber Jim Lloyd, Sam took up stringband instruments as a teenager, and learned mountain love songs from Western North Carolina ballad singer Sheila Kay Adams. Sam studied Folklore at Berea College and became passionately involved in writing songs, collecting oral history and social activism. Sam’s music has been featured on National Public Radio, Kentucky Educational Television, and Appalshop’s WMMT radio. He’s written for LEO Weekly and Still: The Journal. Sam Gleaves, "Ain't We Brothers"